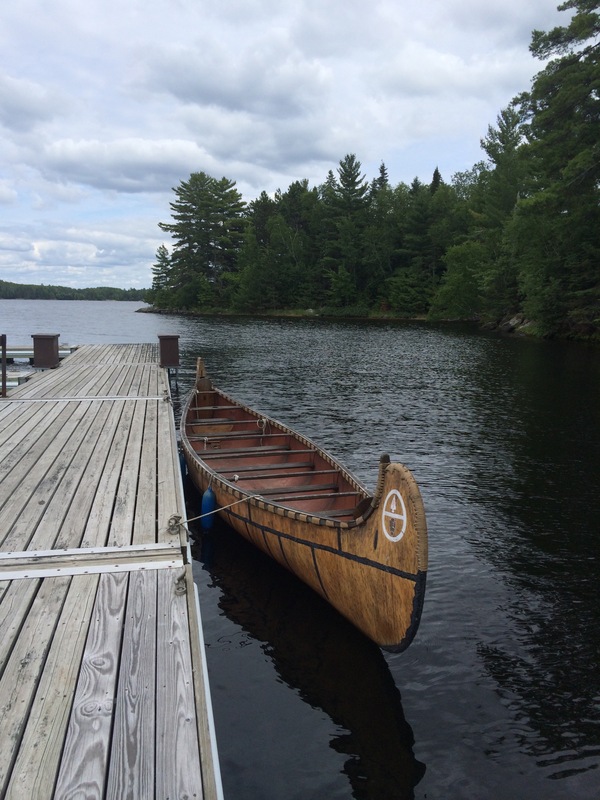 A visit to Voyageurs National Park and the Boundary Waters Wilderness typically involves traveling by boat. Canoes, kayaks, motor boats and even house boats are commonly seen in the lakes throughout the area. 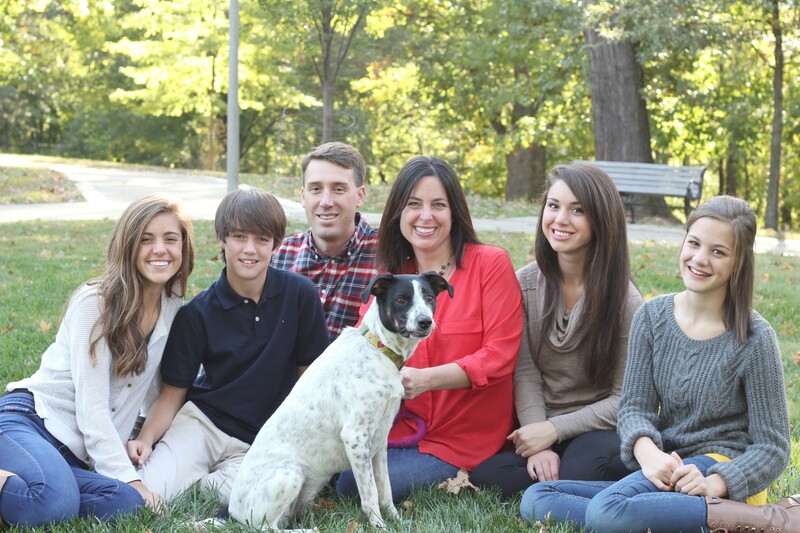 When planning our visit, we were faced with the quandary of not having an easily available boat and the added dilemna of bringing along our sweet pooch who is definitely NOT a fan of riding on the water. Added to this was the fact that none of us are experienced oarsman and having never been to the area we were unsure of the amount of paddling technique necessary. Honestly, I was a little scared as I worried that our inexperienced family would be caught in rough water, far from shore, and capsizing. Visions of our crazy pup jumping around and causing gear to be flung in the water had me seriously concerned. 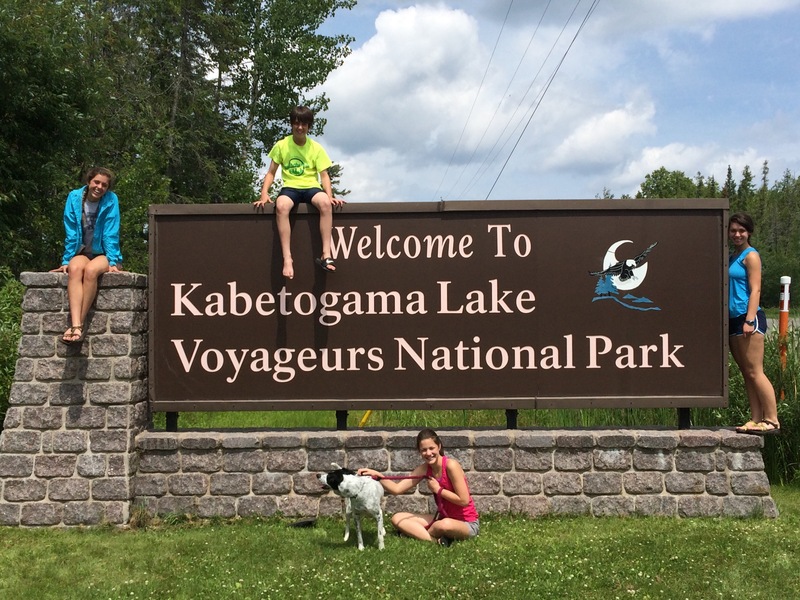 Added to this, Voyageurs has several restrictions about where pets are permitted. While allowed in all of the main front country areas, pets are not allowed on most of the hiking trails as well as all backcountry sites. (Click here for more information about visiting with pets.) All of this helped us decide to plan a mainland visit to Voyageurs National Park without a boat and hope for the best. 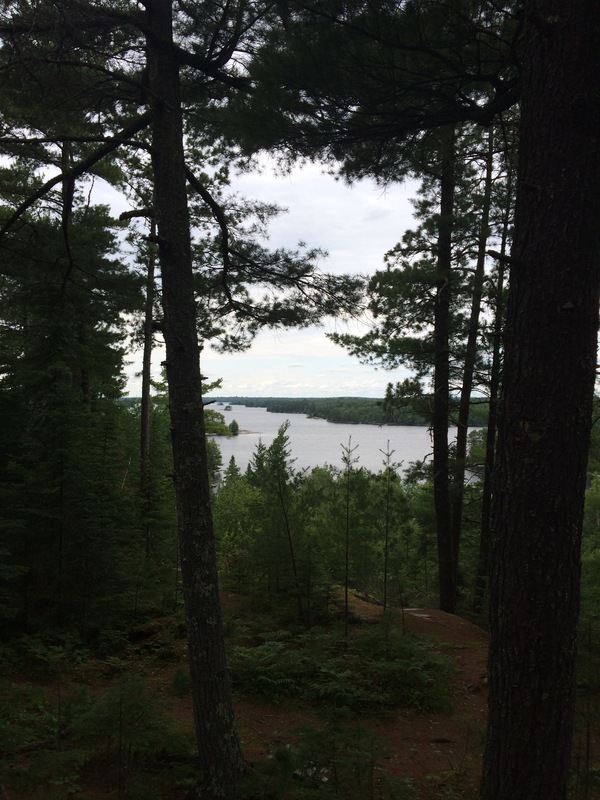 While I read several books that were helpful in planning a water based trip, including Exploring the Boundary Waters: A Trip Planner and Guide to the BWCAW and Boundary Waters Canoe Camping , I was at a loss as to how to plan a trip that kept us primarily on land. Turns out, I didn’t need to worry. 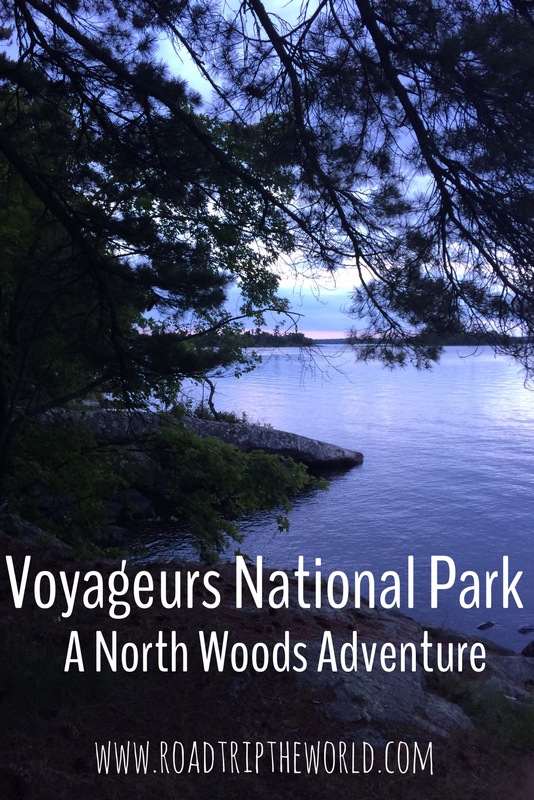 We had a fabulous time visiting Minnesota’s North Woods and Voyageurs National Park without a boat. Voyageurs National Park does not operate any mainland campgrounds, but there are several located nearby practically in the park’s boundaries. (Click here for more information about nearby camping facilities.) 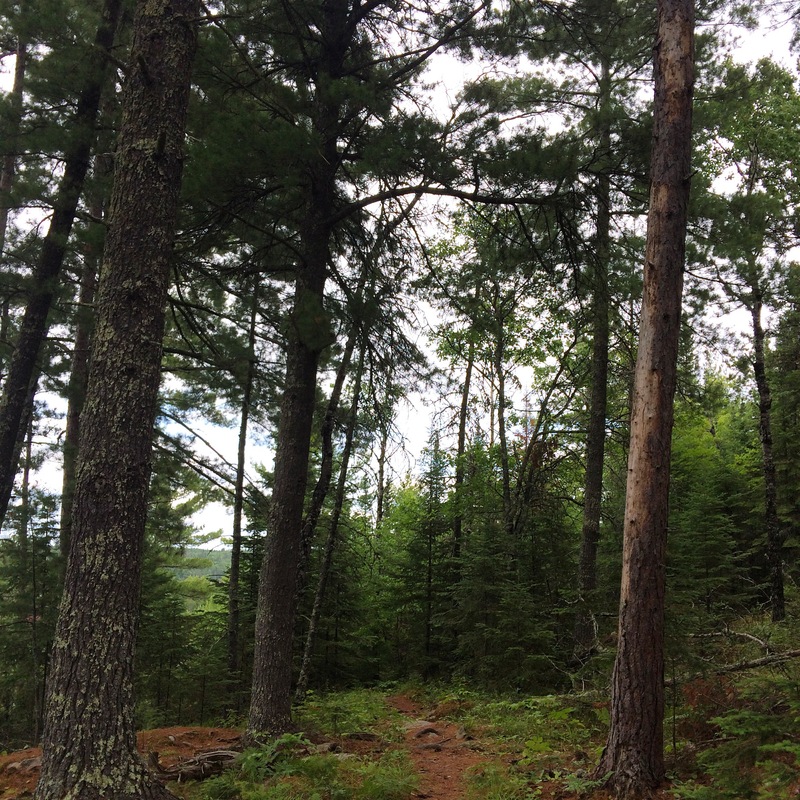 We chose to stay at Woodenfrog State Forest Campground and absolutely loved our time there. Luna was allowed throughout the campground including the nature trails that meandered through the campsites. 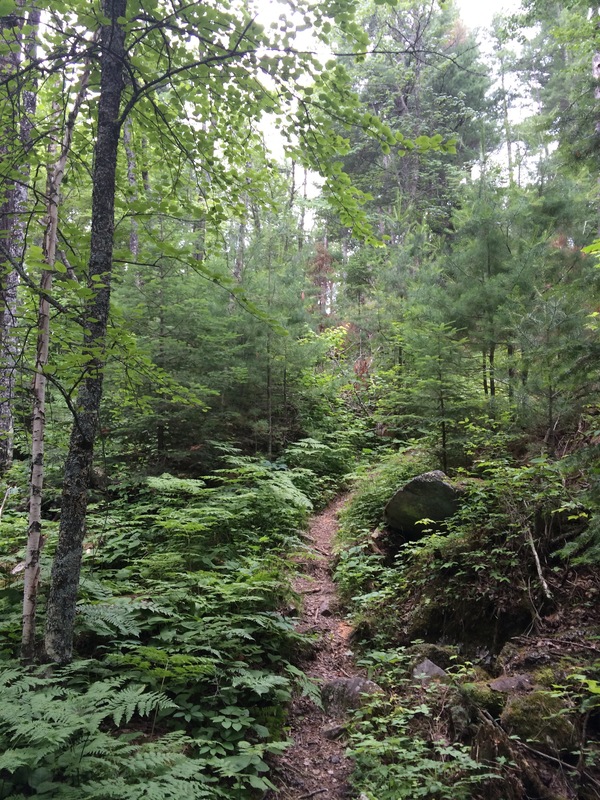 We also split up at times to hike the trails on Voyageurs grounds including a beautiful 3 mile hike on the Blind Ash Bay Trail located near the Ash River Visitor Center. 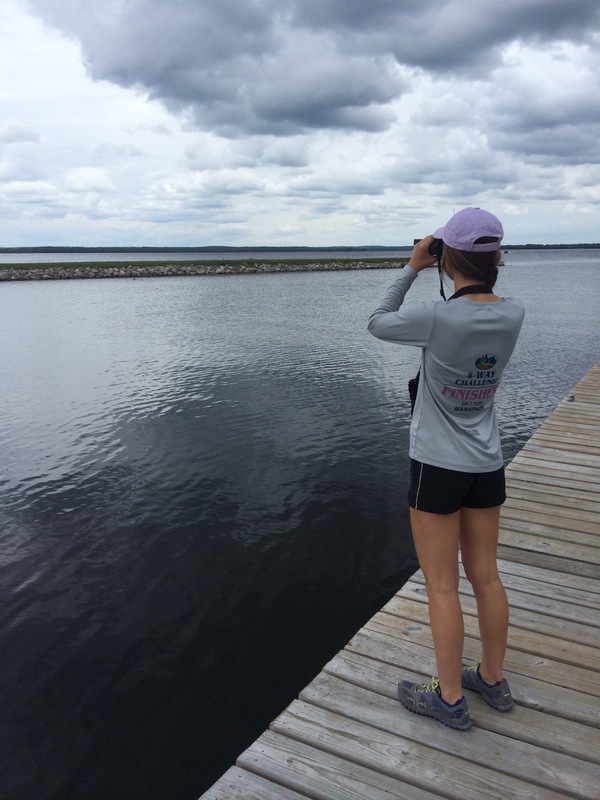 When visiting the Kabetogama Visitor Center, we watched the orientation video and rangers told us about binoculars available to borrow while exploring. We took two pairs and really enjoyed scanning the shorelines of the various islands. I love how our National Parks do whatever they can to help visitors have a better experience. The kids also picked up Junior Ranger packets to complete while there and earn a badge and patch. 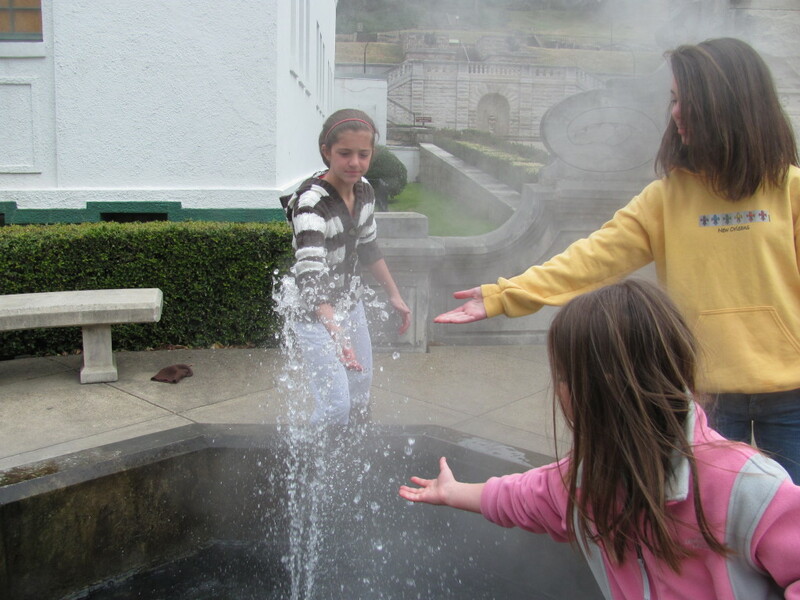 Discovery Packs are also available to borrow and is another fantastic way to learn more about the park. We borrowed one and the kids loved using the binoculars in the kit. 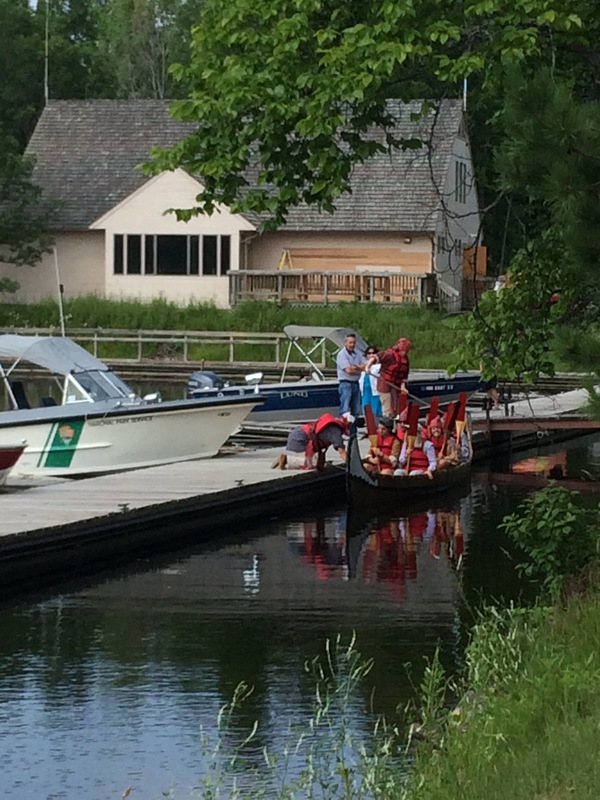 We also were fortunate to be able to reserve spots on the North Country Canoe Paddle ranger program. 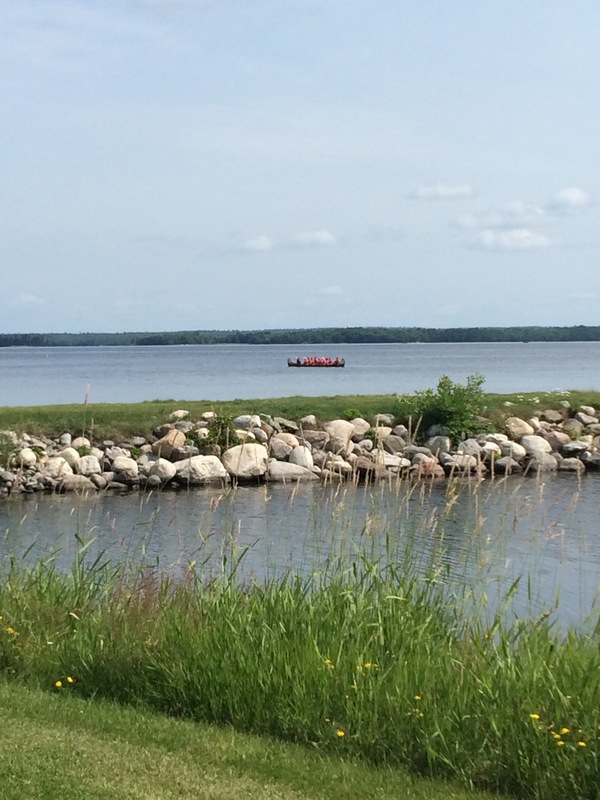 This free program was led by park rangers and allowed Dave and the kids to learn about the lives of Voyageurs paddlers and take a traditional Canoe out on Kabetogama Lake while I chilled on the dock with Luna. Be sure to reserve a spot early, as boats usually fill up. We also enjoyed talking with the Park Rangers at the Ash River Visitor Center. 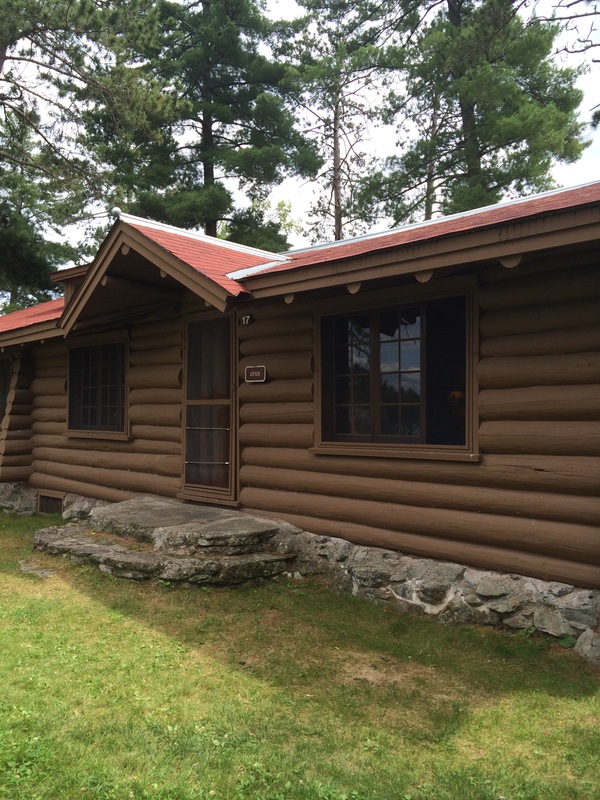 This beautiful cabin used to be the historic Meadowood Lodge before being procured by the park. We loved learning the history of the area and also enjoyed learning about the winter activities in the park. Park Rangers are always a wealth of information and are so interesting to talk to. We spent several days in the area and kept busy and happy, even without a boat! While I would love another chance to visit and paddle to the various islands, we still enjoyed ourselves and had a great visit. Sad to leave, our spirits were brightened when we stopped at an adorable gift store and cafe located a short distance from Kabetogema Lake on Gamma Road- the Pine Ridge Gift Shop. 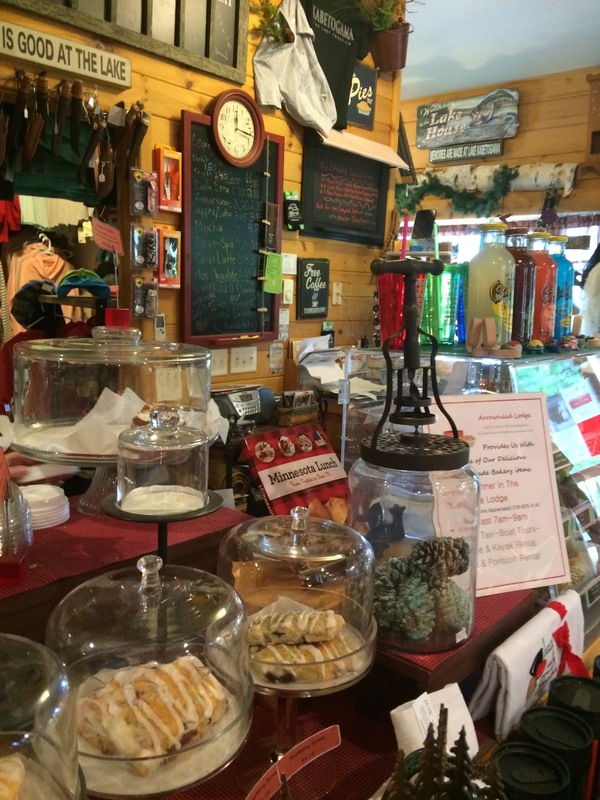 The store had a wide selections of gifts and knick knacks as well as delicious coffee and fresh candies and pastries. 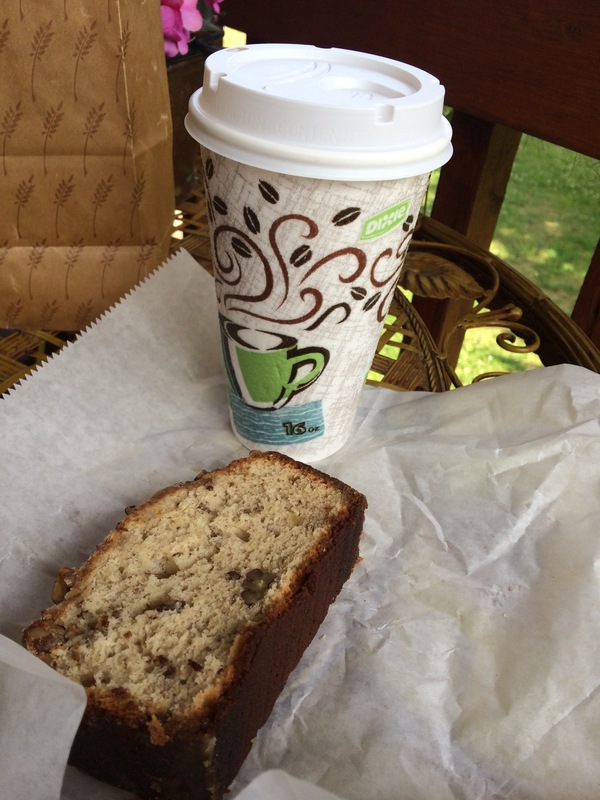 I loved the banana bread I chose and would definitely recommend stopping here when visiting. While visiting Voyageurs National Park with a boat would be absolutely wonderful, visiting without one was wonderful too. If for whatever reason a paddling trip doesn’t work for your group, you can still have an amazing experience in the North Woods of Minnesota. 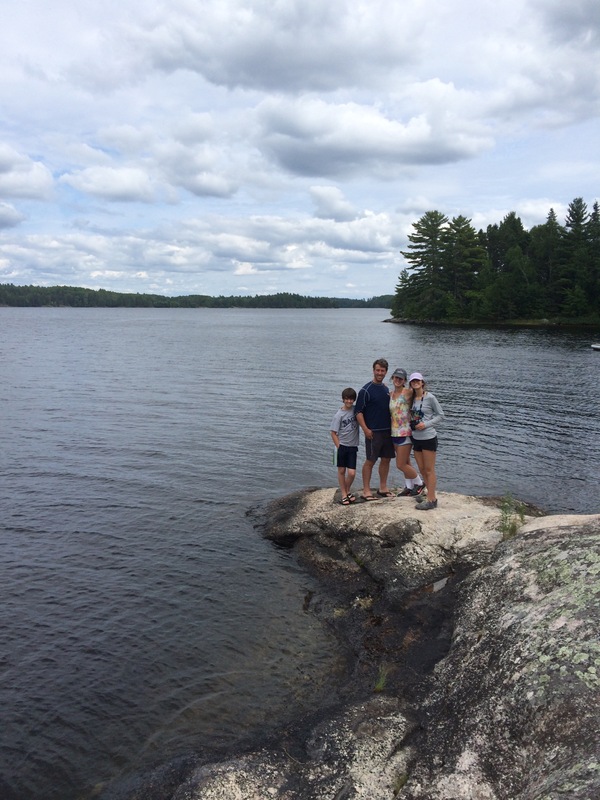 Have you ever been to Voyageurs National Park without a Boat? I adored falling asleep to the sounds of wolves howling. What was your favorite thing about it? We’re heading here in a few weeks (also with our pup so looking at options to do on land too). Love your photos! Thanks for the insight — there’s not a ton of details available about Voyageurs so thrilled to find your review. Very cool pictures. I also love the sound of wolves howling in the park at night. I usually get a water taxi to the Locator Lake or Cruiser Lake trail and stay at one of the backcountry campsites. 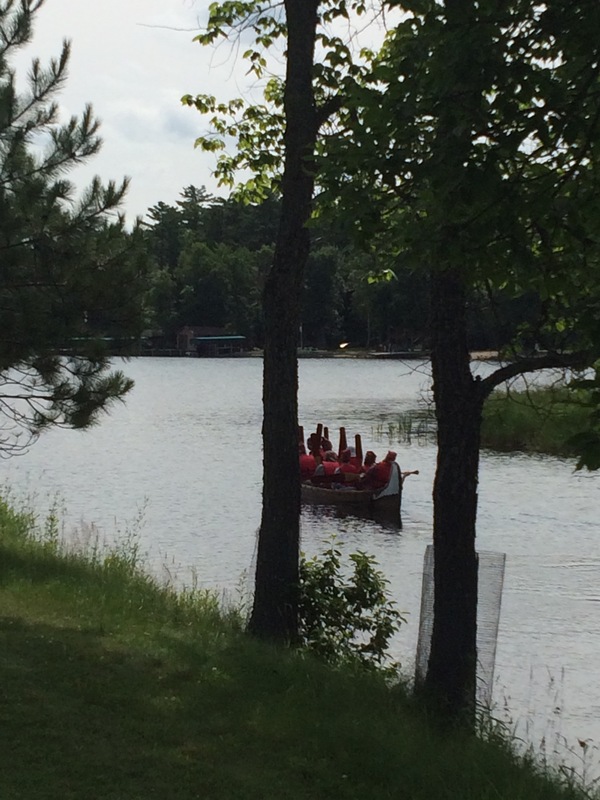 Many of the sites in the backcountry have canoes you can rent to explore the inland lakes.